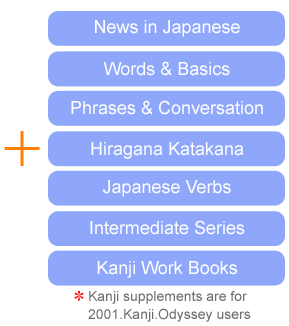 Let's study Japanese language online. Japanese often discuss weather and recent incidents with their friends and colleagues. 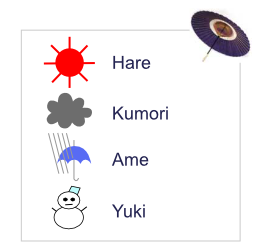 Here we present weather forecast and news to introduce today's Japan in easy-to-understand Japanese. You will find vocabulary and expressions which are very useful in daily conversation.